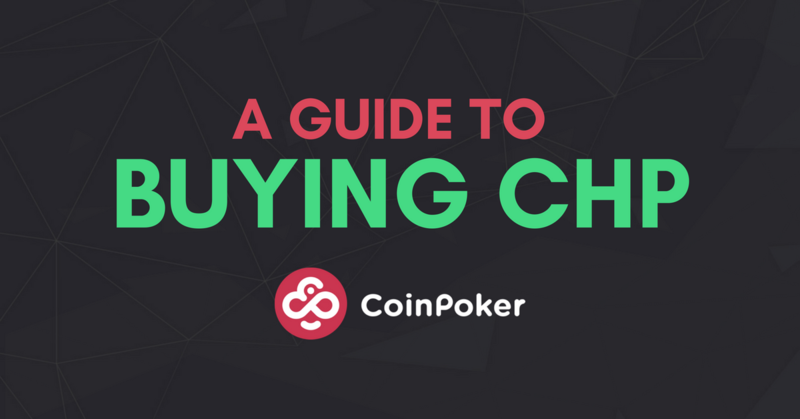 Find out how to purchase and transfer CHP tokens from an exchange and into your CoinPoker wallet. 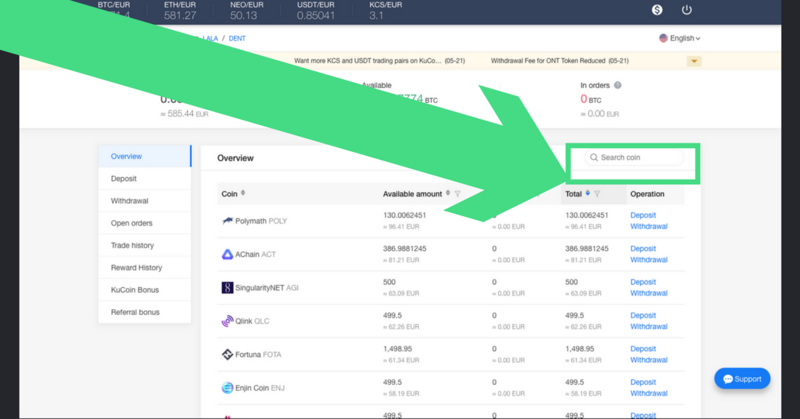 We will be using KuCoin, our latest exchange, in this example as well MyEtherWallet as an ERC-20 client. 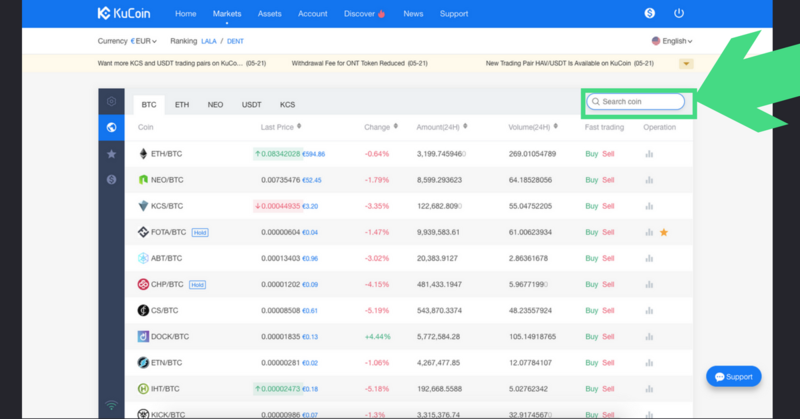 If you’re new this is a great way to avoid common mistakes and learn about how crypto transfers work. So, let’s get started! That is, if you have an account. 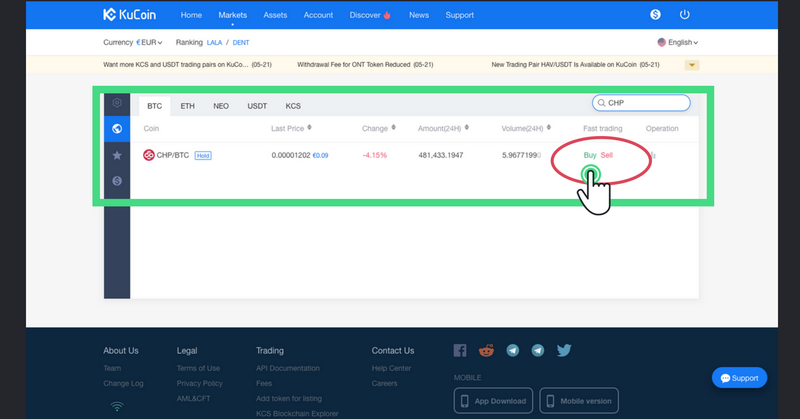 If you’re completley new to KuCoin, you can register an account and follow these easy instructions on how to get started. 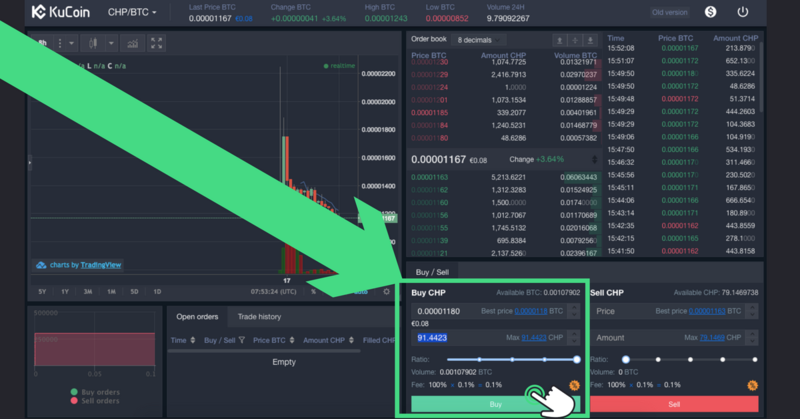 Once you’re logged in, search through the many tokens available for CHP, and once you find it go ahead and click on the “Buy” button. You’ll see a lot of graphs and figures, but on the bottom right corner there’s will be a widget that is secured by two factor authentication (2FA). Once you enter your code, you will be able to purchase tokens. Enter your 2FA code here. Choose how much CHP you would like to purchase and click the “Buy” button et voila. 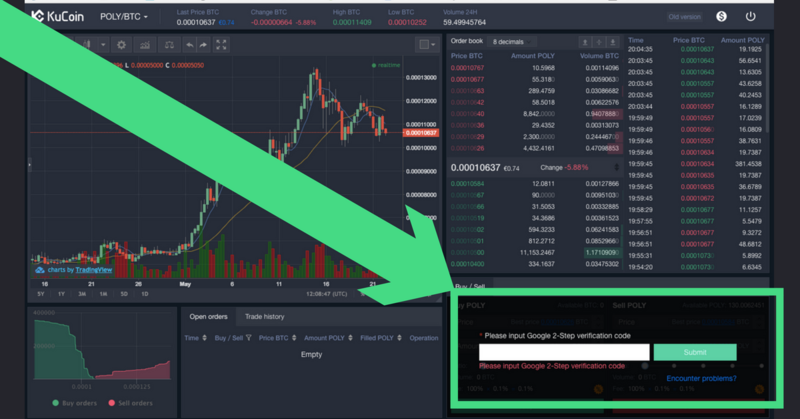 Click the “$” to go to your account and get your withdrawal ready. 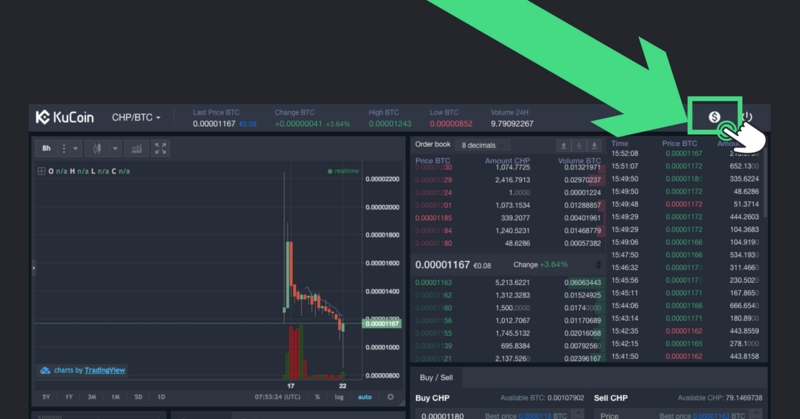 Search for “CHP” once again to find your new tokens. Do 10 push ups then select “Withdraw”. 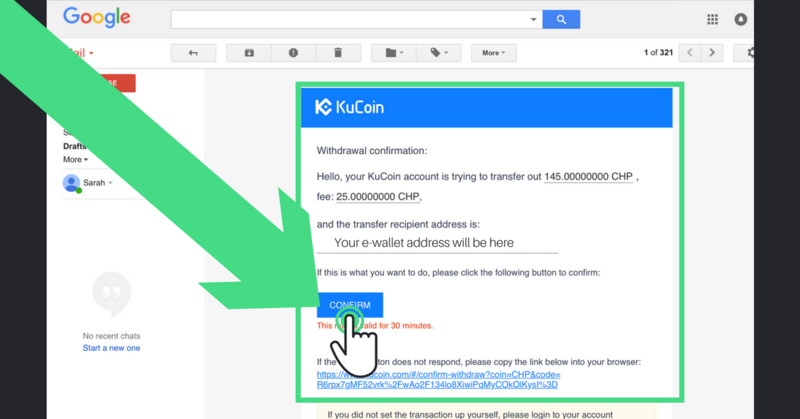 Be very careful when entering your e-wallet address, and make sure you carefully view your email confirmation data before clicking “Confirm” as all transfers on blockchain are irreversible. 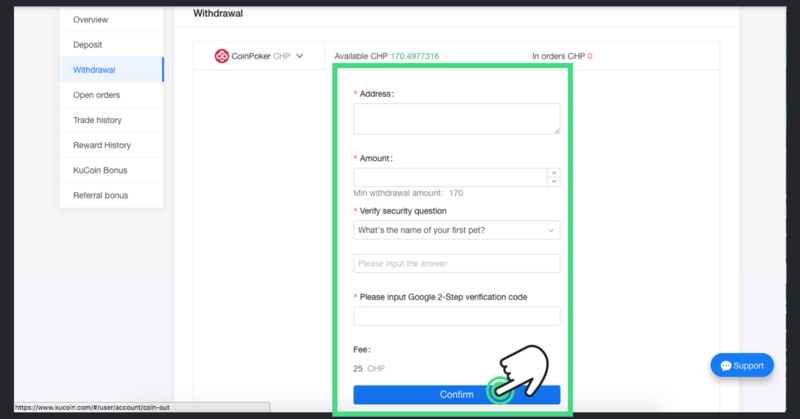 Enter your e-wallet address (the wallet verified on your CoinPoker account) and other requested info. After hitting “Confirm” you will receive a confirmation email. Don’t log into an empty e-wallet and panic. 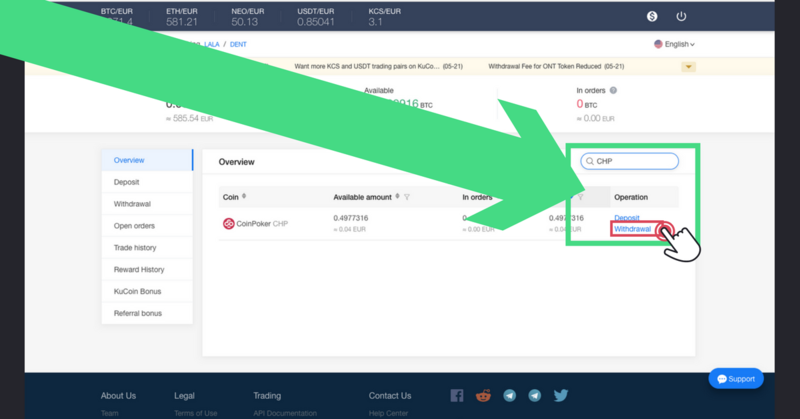 You can always check Etherscan to see if your transfer went through. 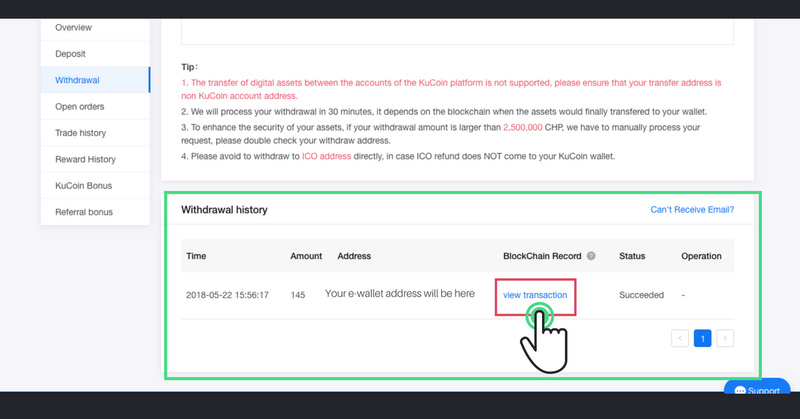 You can find a link to the transaction details (similar to a digital receipt) by heading to the Withdrawal tab in KuCoin. Find the most recent transaction made to your e-wallet and click “view transaction”. 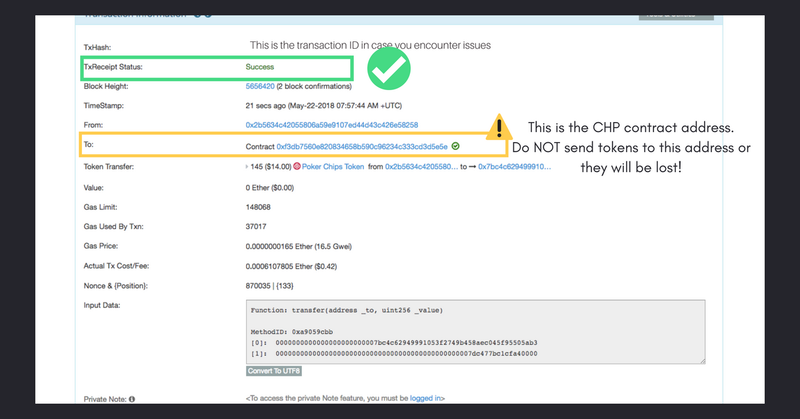 Check the status to confirm if the funds should be there, and note that the contract address listed here is NOT the address you will be using later on*. 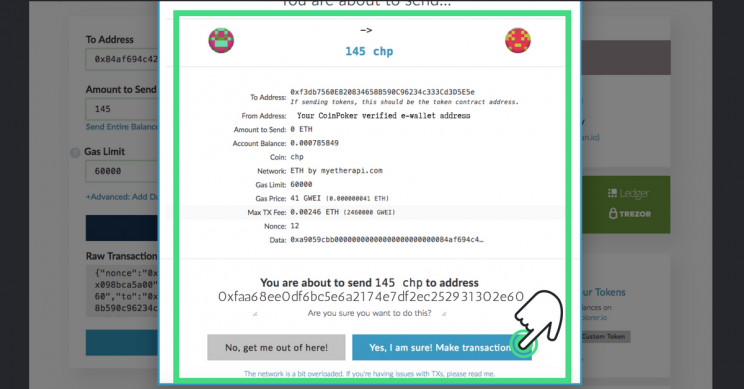 *Read this article to find out why sending CHP tokens to the smart contract address shown above results in permanent loss of funds. BEWARE! 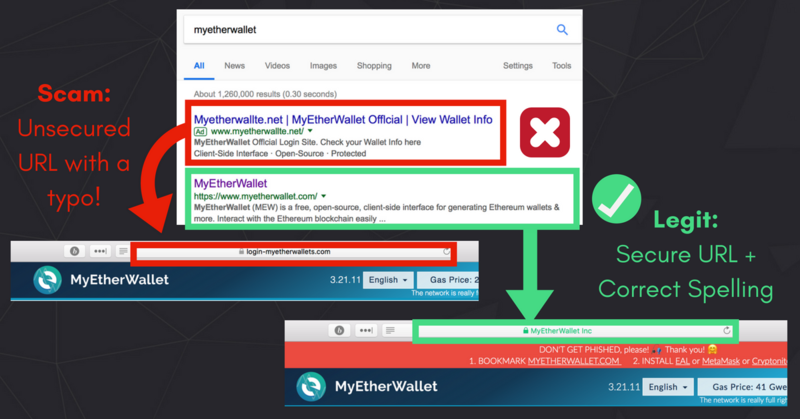 There are plenty of phishing sites out there that mimic MyEtherWallet (a.k.a. 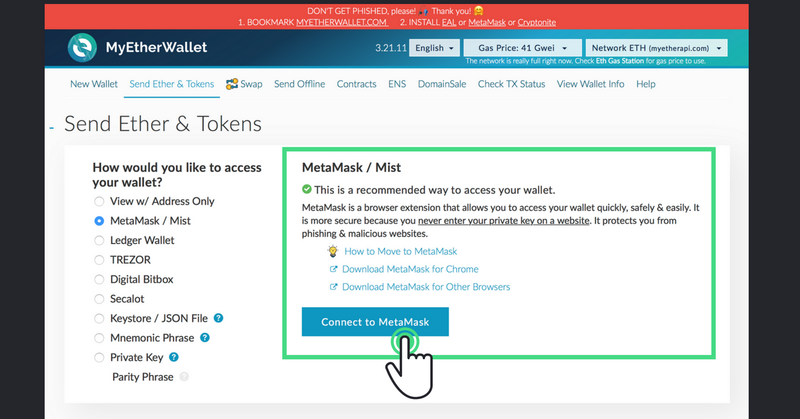 MEW) to trick users into revealing sensitive data. 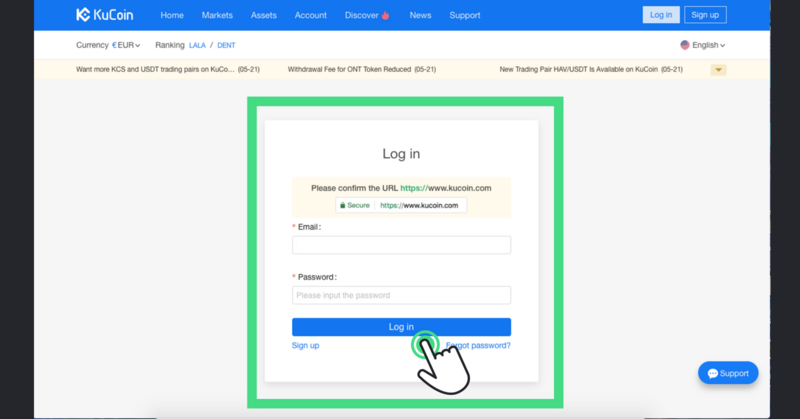 Find out how to spot this and other common crypto scams easily. Watch out for these common characteristics of MEW phishing sites. 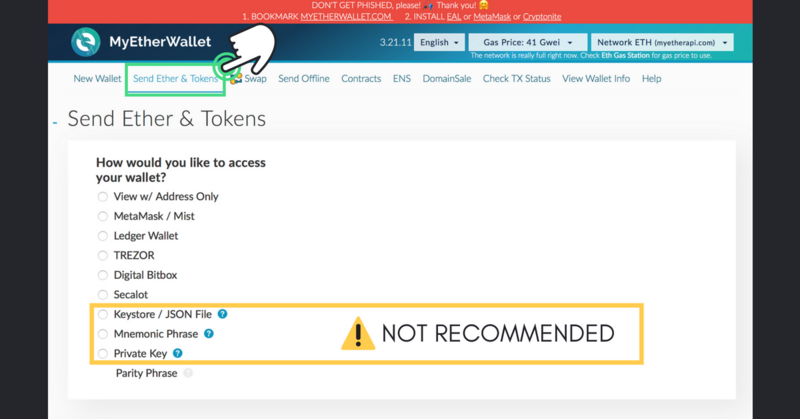 View the wallet info using your address, and make sure you have 41 Gwei selected as your gas price. Paying less than this will result in extremely slow processing times! 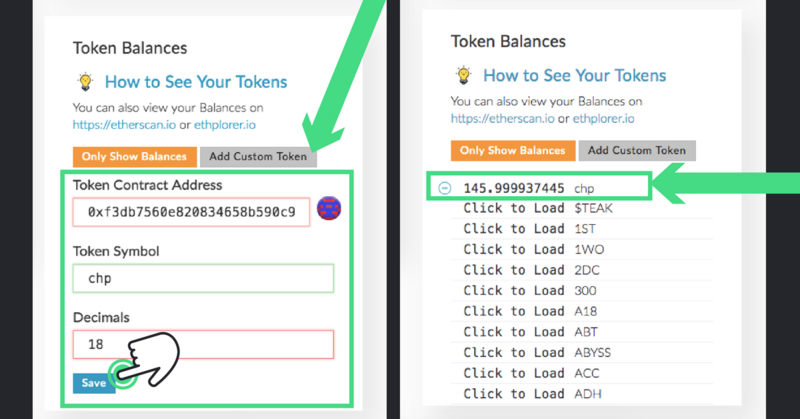 Go to the “Send Ether & Tokens” tab and access your wallet using one of the recommended methods. You can of course use the non-recommended options but note that these are less secure (here’s why). Select an option, non-recommended access options are done at your own risk. This is a nice, safe option. Let’s do this one. 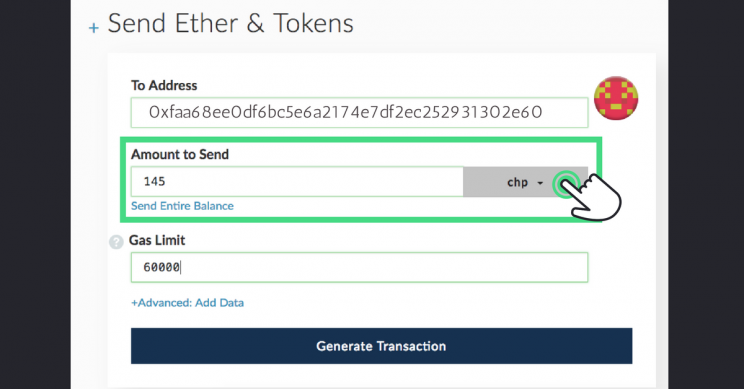 Enter the amount of CHP you want to send, and make sure your select the CHP option. 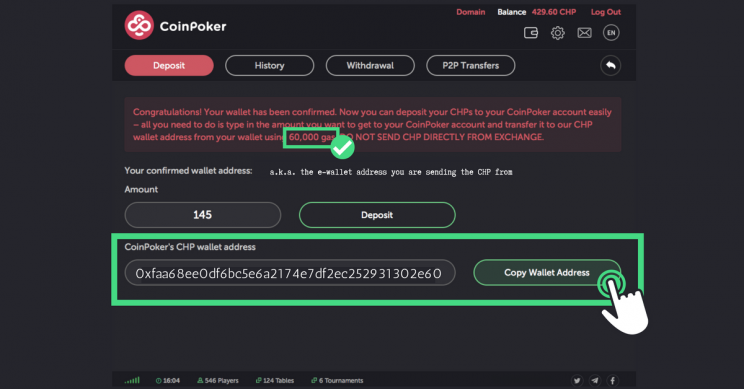 Be careful when entering the address and gas limit, which you can always check in CoinPoker under the ”Deposit” tab. Easy peasy. 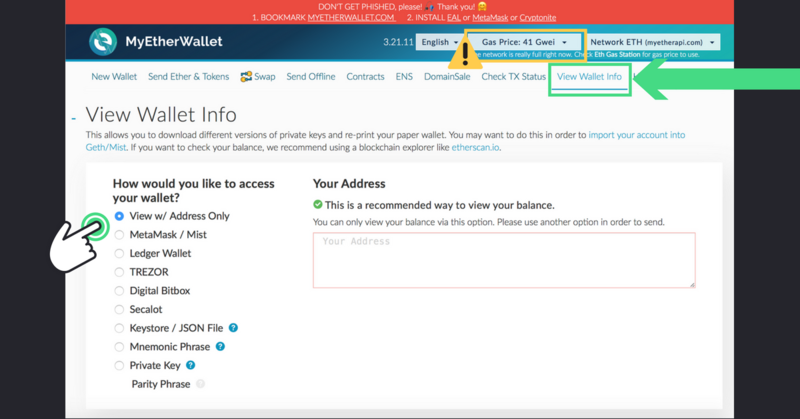 Just copy the wallet address to avoid human error. Double check the data (transfers are irreversible) and confirm whenever you’re ready. STEP 10: Hit the tables and enjoy! If you need any help, please contact our support team at [email protected]or join our Telegram groupfor help from our awesome community.